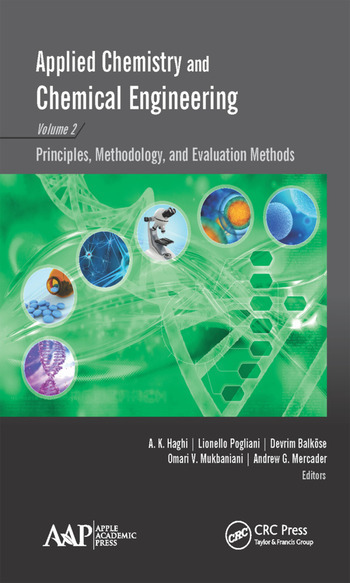 This book covers many important aspects of applied chemistry and chemical engineering, focusing on three main aspects: principles, methodology and evaluation methods. 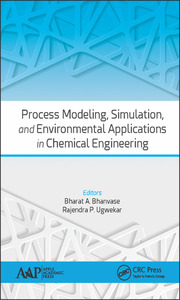 It presents a selection of chapters on recent developments of theoretical, mathematical, and computational conceptions, as well as chapters on modeling and simulation of specific research themes covering applied chemistry and chemical engineering. This book attempts to bridge the gap between classical analysis and modern applications. 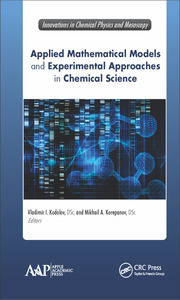 This book is the second of the two-volume series Applied Chemistry and Chemical Engineering. 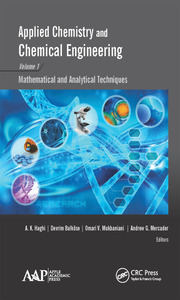 The first volume is Volume 1: Mathematical and Analytical Techniques. Intensification of Efficiency of Process of A Gas Cleaning in Apparatuses "Rotoklon"
Omari Vasilii Mukbaniani, DSc, is Professor and Chair of the Macromolecular Chemistry Department of Iv. Javakhishvili Tbilisi State University, Tbilisi, Georgia. He is also the Director of the Institute of Macromolecular Chemistry at Iv. Javakhishvili Tbilisi State University. He is a member of the Academy of Natural Sciences of Georgia. For several years he was a member of advisory board and editorial board of the Journal Proceedings of Iv. Javakhishvili Tbilisi State University (Chemical Series) and contributing editor of the journals Polymer News, Polymers Research Journal, and Chemistry and Chemical Technology. His research interests include polymer chemistry, polymeric materials, and chemistry of organosilicon compounds, as well as methods of precision synthesis to build block and the development of graft and comb-type structure. He also researches the mechanisms of reactions leading to these polymers and the synthesis of various types of functionalized silicon polymers, copolymers, and block copolymers. Andrew G. Mercader, PhD, studied Physical Chemistry at the Faculty of Chemistry of La Plata National University (UNLP), Buenos Aires, Argentina, from 1995-2001. Afterwards he joined Shell Argentina to work as Luboil, Asphalts and Distillation Process Technologist, as well as Safeguarding and Project Technologist. His PhD work on the development and applications of QSAR/QSPR theory was performed at the Theoretical and Applied Research Institute located at La Plata National University (INIFTA). He received a post-doctoral scholarship to work on theoretical-experimental studies of biflavonoids at IBIMOL (ex PRALIB), Faculty of Pharmacy and Biochemistry, University of Buenos Aires (UBA). He is currently a member of the Scientific Researcher Career in the Argentina National Research Council, at INIFTA.